It’s Thursday, Florida State fans. As your day and week winds down, keep it here for the latest in FSU athletics. The news and notes section of this post may be updated throughout the day. The NBA regular season is over and the playoffs are set to start on Saturday. For Florida State fans, two familiar faces will be in action. Third-year guard Malik Beasley has had a career-year for the Denver Nuggets, averaging better than 11 points per game while shooting better than 47 percent from the field and better than 40 percent from beyond the arc. The Nuggets are the No. 2 seed in the Western Conference and will face the San Antonio Spurs in the first round, starting on Saturday. Beasley was FSU’s first “1-and-done” after averaging 15.6 points and 5.3 rebounds during the 2015-16 season for the Seminoles. 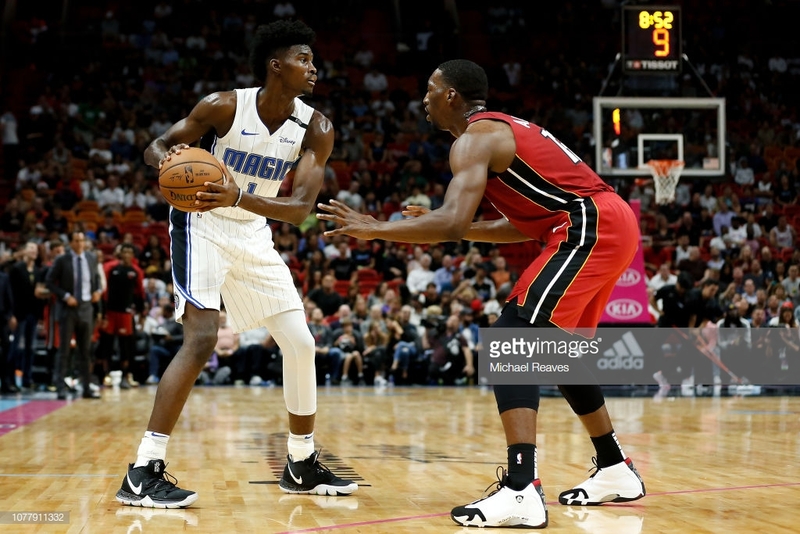 Jonathan Issac, a second-year forward and FSU’s second “1-and-done”, was a big reason that the Orlando Magic are in the playoffs for the first time in seven years. Isaac averaged 9.6 points, 5.5 rebounds and 1.3 blocks this season. The Magic are the No. 7 seed in the Eastern Conference and will open the playoffs on Saturday against the Toronto Raptors. Isaac shot 51 percent from the field while averaging 12 points, 7.8 board and 1.5 blocks in his only season in Tallahassee during the 2016-17 campaign. Dwayne Bacon, a second-year guard for the Charlotte Hornets, entered Wednesday with playoff hopes intact, but Charlotte needed to beat Orlando and have the Detroit Pistons lose to the New York Knicks. Neither one of those things happened. In his second season, Bacon averaged 7.3 points and shot nearly 44 percent from deep in 43 games. FSU track and field will begin the Crimson Tide Invitational on Thursday. FSU women’s tennis plays host to Virginia at 5 p.m. EST. It airs on ACC Network Extra. FSU basketball held its annual banquet on Wednesday night.